Chobani and Nielsen Catalina Solutions teamed up for a Yahoo Search ad campaign that resulted in a 9% lift in yogurt sales and a 1.3% increase in market share. The campaign was conducted as a measurement study as well to provide the brand with insights into how paid search impacted in-store sales. To do this they looked at household data on demographics, purchase histories, regional purchase behavior, and buying cycles. Chobani Chief Marketing and Brand Officer Peter McGuinness told Ad Age, "It's yet another proof point that advertising in any form, on any channel, has merit and effectiveness. It just helps further justify budgets overall, and specifically in search." “Search advertising continues to be a very important way that brands can connect with consumers before they make a purchase in stores," Jeremy Gold, senior director and industry lead of CPG at Yahoo, told Marketing Dive. Search ads are clearly of great value not only to the CPG company, but to other brands looking to take market share on digital. Even though paid search and search engine marketing overall are very well-established digital marketing channels, this limited case study should indicate that there is still value in spending some marketing budget to take more control over the SERP (search engine response page). 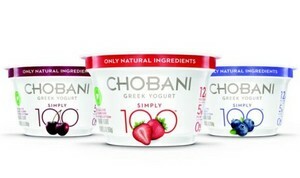 “Chobani has quickly understood the power of data and effective measurement when combined with its search ad strategy on Yahoo to ensure all of these efforts are driving sales and value for their business,” Gold said in a blog post. In the measurement aspect of the effort, Jessica Lauria, senior director of brand communications at Chobani, added that the goal was to understand what each ad impression was worth in terms of influencing in-store sales.